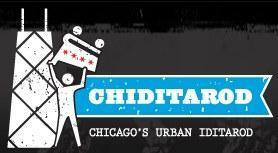 Chicago's Epic Urban Iditarod. A charity food drive, beauty pageant, costumed shopping cart race, talent show, fundraiser and chaos generator all in one. And probably the world's largest mobile food drive, benefiting the Greater Chicago Food Depository.